Let us take a closer look at some exceptionally experimental artists who are combining form with movement, and sometimes technology, to create kinetic mobile art and public sculptures which have the power to mesmerize onlookers. 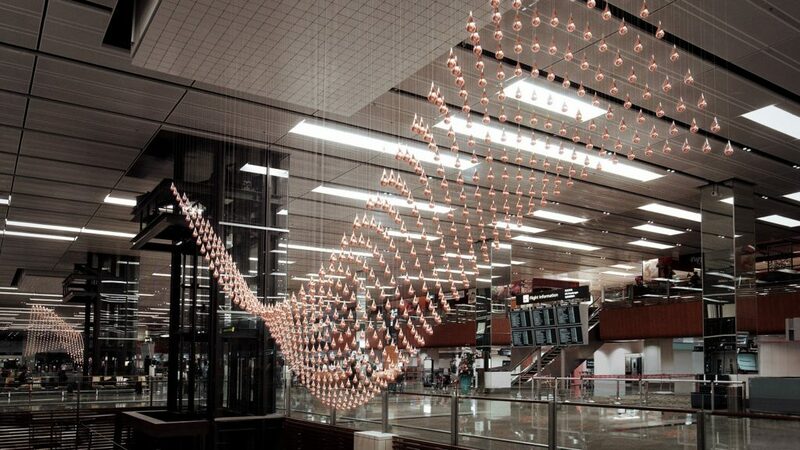 Kinetic Rain is an artwork designed for Singapore’s Changi airport by the Berlin-based design company ArtCom, a multi-discipline team that explores spatial communication while specialising in the creation of architectural installations. 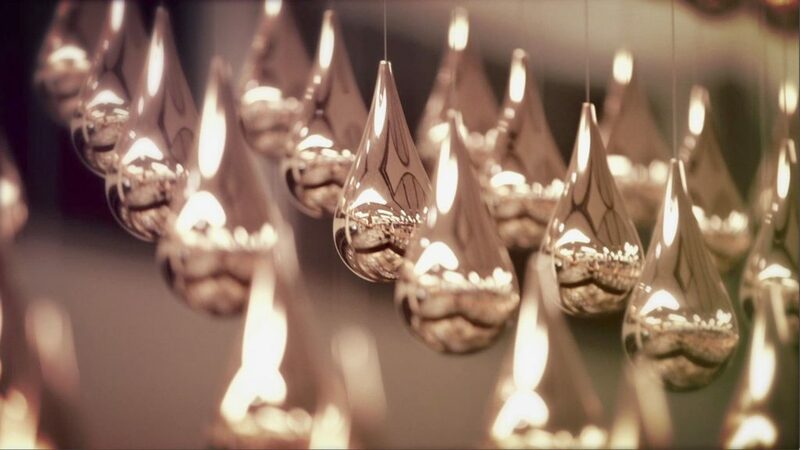 Suspended above two escalators, Kinetic Rain consists of hundreds of copper plated droplets undulating on computer-controlled wires in animated sequences of abstract, symmetrical forms across a 75 m space. Elias Crespin designed and built the transforming, geometric mobile sculpture called Grand HexaNet especially for the recent Artist and Robots exhibition at the Grand Palais in Paris. He created special motor control software with algorithms to allow his nylon thread, suspended tube sculpture, to continuously mutate in an infinite succession of geometric and unpredictable forms above the Palais’ grand staircase. 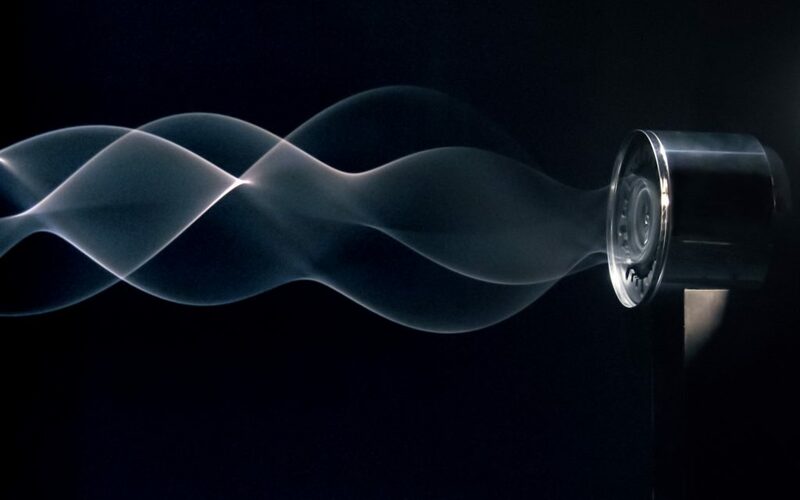 Waves, the mesmerising Kinetic string sculpture by Spanish artist Daniel Palacios, uses motors to oscillate a length of rope creating moving, humming digital waveforms. Finally, specialising in large-scale, public art installations, Los Angeles-based company Poetic Kinetics led by Patrick Shearn, collaborates with skilled artists to create interactive, functional and experiential public artworks. 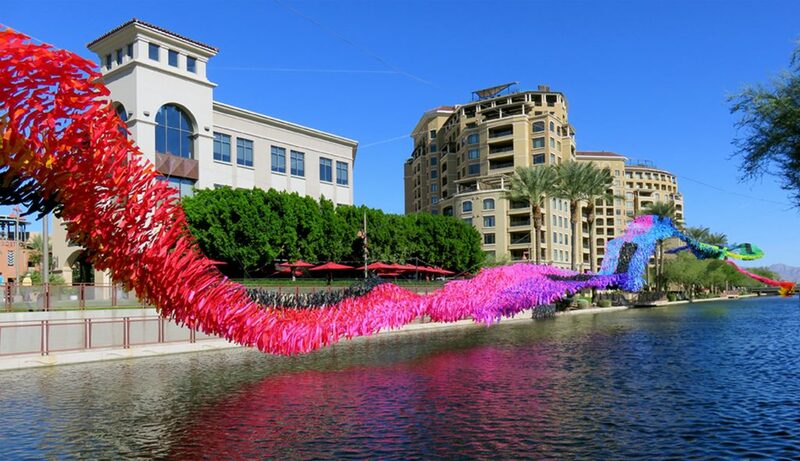 Installed above the Scottsdale Arizona canal waterfront, the Reflection Rising, shimmering net sculpture spanned 16,00 square feet, evoking the natural phenomenon of flocking birds or swarming insects.